Support Independent Media! Get a monthly subscription to Socialist Alternative. 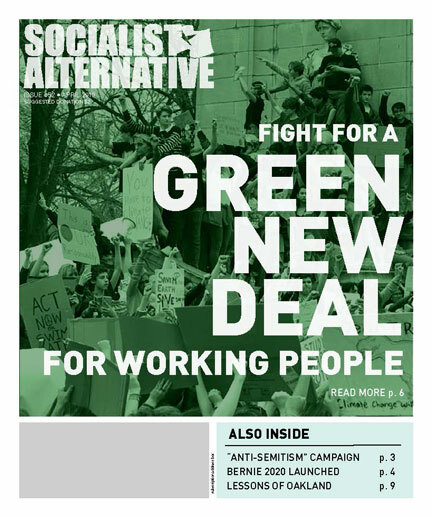 Check out this month's issue of Socialist Alternative. Get involved in the campaign to re-elect Kshama Sawant! A contribution to the debate on the historical lessons of the black freedom struggle and on the way forward today. Looking back on the greatest general strike in history, the lessons in this pamphlet remain relevant for today's movement. A look at the legacy of Bolshevism and the Russian Revolution, as well as its later degeneration at the hands of Stalin. On the ground look at the working class revolt that took place in Wisconsin in 2011. Debates in the Movement – How Do We End Gun Violence?